Welcome, 2016! As the New Year rolls around, it's always a sure bet that there will be changes to current tax law and 2016 is no different. From health savings accounts to retirement contributions and standard deductions, here's a checklist of tax changes to help you plan the year ahead. For 2016, more than 50 tax provisions are affected by inflation adjustments, including personal exemptions, AMT exemption amounts, and foreign earned income exclusion. For 2016, the tax rate structure, which ranges from 10 to 39.6 percent, remains the same as in 2015, but tax-bracket thresholds increase for each filing status. Standard deductions and the personal exemption have also been adjusted upward to reflect inflation. For details see the article, "Tax Brackets, Deductions, and Exemptions for 2016," below. Exemption amounts for the AMT, which was made permanent by the American Taxpayer Relief Act (ATRA) are indexed for inflation and allow the use of nonrefundable personal credits against the AMT. For 2016, the exemption amounts are $53,900 for individuals ($53,600 in 2015) and $83,800 for married couples filing jointly ($83,400 in 2015). For taxable years beginning in 2016, the amount that can be used to reduce the net unearned income reported on the child's return that is subject to the "kiddie tax," is $1,050 (same as 2015). The same $1,050 amount is used to determine whether a parent may elect to include a child's gross income in the parent's gross income and to calculate the "kiddie tax." For example, one of the requirements for the parental election is that a child's gross income for 2016 must be more than $1,050 but less than $10,500. For 2016, the net unearned income for a child under the age of 19 (or a full-time student under the age of 24) that is not subject to "kiddie tax" is $2,100. For calendar year 2016, a qualifying HDHP must have a deductible of at least $1,300 for self-only coverage or $2,600 for family coverage and must limit annual out-of-pocket expenses of the beneficiary to $6,550 for self-only coverage and $13,100 for family coverage. Self-only coverage. For taxable years beginning in 2016, the term "high deductible health plan" means, for self-only coverage, a health plan that has an annual deductible that is not less than $2,250 ($2,200 in 2015) and not more than $3,350 (up $50 from 2015), and under which the annual out-of-pocket expenses required to be paid (other than for premiums) for covered benefits do not exceed $4,450 (same as 2015). Family coverage. For taxable years beginning in 2016, the term "high deductible health plan" means, for family coverage, a health plan that has an annual deductible that is not less than $4,450 (same as 2015) and not more than $6,700 (up $50 from 2015), and under which the annual out-of-pocket expenses required to be paid (other than for premiums) for covered benefits do not exceed $8,150 (same as 2015). In 2016, the deduction threshold for deductible medical expenses remains at 10 percent (same as 2015) of adjusted gross income (AGI); however, if either you or your spouse were age 65 or older as of December 31, 2015, the new 10 percent of AGI threshold will not take effect until 2017. In other words, the 7.5 percent threshold that was in place in earlier tax years continues to apply for tax year 2016 for these individuals. In addition, if you or your spouse turns age 65 in 2016, the 7.5 percent of AGI threshold applies for that year (through 2016) as well. Starting in 2017, the 10 percent of AGI threshold applies to everyone. Premiums for long-term care are treated the same as health care premiums and are deductible on your taxes subject to certain limitations. For individuals age 40 or younger at the end of 2016, the limitation is $390. Persons more than 40 but not more than 50 can deduct $730. Those more than 50 but not more than 60 can deduct $1,460 while individuals more than 60 but not more than 70 can deduct $3,900. The maximum deduction is $4,870 and applies to anyone more than 70 years of age. The additional 0.9 percent Medicare tax on wages above $200,000 for individuals ($250,000 married filing jointly), which went into effect in 2013, remains in effect for 2016, as does the Medicare tax of 3.8 percent on investment (unearned) income for single taxpayers with modified adjusted gross income (AGI) more than $200,000 ($250,000 joint filers). Investment income includes dividends, interest, rents, royalties, gains from the disposition of property, and certain passive activity income. Estates, trusts, and self-employed individuals are all liable for the new tax. For 2016, the foreign earned income exclusion amount is $101,300, up from $100,800 in 2015. In 2016 tax rates on capital gains and dividends remain the same as 2015 rates; however threshold amounts are indexed for inflation. As such, for taxpayers in the lower tax brackets (10 and 15 percent), the rate remains 0 percent. 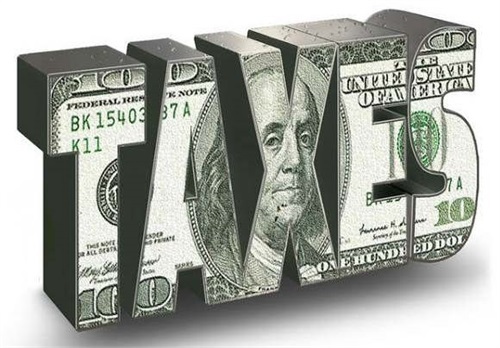 For taxpayers in the four middle tax brackets, 25, 28, 33, and 35 percent, the rate is 15 percent. For an individual taxpayer in the highest tax bracket, 39.6 percent, whose income is at or above $415,050 ($466,950 married filing jointly), the rate for both capital gains and dividends is capped at 20 percent. Both Pease (limitations on itemized deductions) and PEP (personal exemption phase-out) have been permanently extended (and indexed to inflation) for taxable years beginning after December 31, 2012, and in 2016, affect taxpayers with income at or above $259,400 for single filers and $311,300 for married filing jointly. For an estate of any decedent during calendar year 2016, the basic exclusion amount is $5,450,000, indexed for inflation (up from $5,430,000 in 2015). The maximum tax rate remains at 40 percent. The annual exclusion for gifts remains at $14,000. In 2016, a non-refundable (only those individuals with tax liability will benefit) credit of up to $13,460 is available for qualified adoption expenses for each eligible child. For tax year 2016, the maximum earned income tax credit (EITC) for low and moderate income workers and working families rises to $6,269, up from $6,242 in 2015. The credit varies by family size, filing status, and other factors, with the maximum credit going to joint filers with three or more qualifying children. For tax year 2016, the child tax credit is $1,000 per child. The enhanced child tax credit was made permanent this year by theProtecting Americans from Tax Hikes Act of 2015 (PATH). In addition to a $1,000 credit per qualifying child, an additional refundable credit equal to 15 percent of earned income in excess of $3,000 has been available since 2009. If you pay someone to take care of your dependent (defined as being under the age of 13 at the end of the tax year or incapable of self-care) in order to work or look for work, you may qualify for a credit of up to $1,050 or 35 percent of $3,000 of eligible expenses in 2016. For two or more qualifying dependents, you can claim up to 35 percent of $6,000 (or $2,100) of eligible expenses. For higher income earners the credit percentage is reduced, but not below 20 percent, regardless of the amount of adjusted gross income. The American Opportunity Tax Credit (formerly Hope Scholarship Credit) was extended to the end of 2017 by ATRA, but was made permanent by PATH in 2015. The maximum credit is $2,500 per student. The Lifetime Learning Credit remains at $2,000 per return. In 2016 (as in 2015), the $2,500 maximum deduction for interest paid on student loans is no longer limited to interest paid during the first 60 months of repayment. The deduction is phased out for higher-income taxpayers with modified AGI of more than $65,000 ($130,000 joint filers). The elective deferral (contribution) limit for employees who participate in 401(k), 403(b), most 457 plans, and the federal government's Thrift Savings Plan remains at $18,000 . Contribution limits for SIMPLE plans remain at $12,500. The maximum compensation used to determine contributions remains at $265,000. The deduction for taxpayers making contributions to a traditional IRA is phased out for singles and heads of household who are covered by an employer-sponsored retirement plan and have modified AGI between $61,000 and $71,000 (unchanged from 2015). For married couples filing jointly, in which the spouse who makes the IRA contribution is covered by an employer-sponsored retirement plan, the phase-out range remains unchanged at $98,000 to $118,000. For an IRA contributor who is not covered by an employer-sponsored retirement plan and is married to someone who is covered, the deduction is phased out if the couple's modified AGI is between $184,000 and $194,000, up from $183,000 and $193,000. The modified AGI phase-out range for taxpayers making contributions to a Roth IRA is $184,000 to $194,000 for married couples filing jointly, up from $183,000 to $193,000 in 2015. For singles and heads of household, the income phase-out range is $117,000 to $132,000, up from $116,000 to $131,000. For a married individual filing a separate return who is covered by a retirement plan, the phase-out range remains $0 to $10,000. In 2016, the AGI limit for the saver's credit (also known as the retirement savings contribution credit) for low and moderate income workers is $61,500 for married couples filing jointly, up from $61,000 in 2015; $46,125 for heads of household, up from $45,750; and $30,750 for married individuals filing separately and for singles, up from $30,500. The rate for business miles driven is 54 cents per mile for 2016, down from 57.5 cents per mile in 2015. The Section 179 expense deduction was made permanent at $500,000 by the Protecting Americans from Tax Hikes Act of 2015 (PATH). For equipment purchases, the maximum deduction is $500,000 of the first $2 million of qualifying equipment placed in service during the current tax year. The deduction is phased out dollar for dollar on amounts exceeding the $2 million threshold amount and eliminated above amounts exceeding $2.5 million. In addition, Section 179 is now indexed to inflation in increments of $10,000 for future tax years. The 50 percent bonus depreciation has been extended through 2019. Businesses are able to depreciate 50 percent of the cost of equipment acquired and placed in service during 2015, 2016 and 2017. However, the bonus depreciation is reduced to 40 percent in 2018 and 30 percent in 2019. Extended through 2019, the Work Opportunity Tax Credit has been modified and enhanced for employers who hire long-term unemployed individuals (unemployed for 27 weeks or more), and is generally equal to 40 percent of the first $6,000 of wages paid to a new hire. Starting in 2016, businesses with less than $50 million in gross receipts are able to use this credit to offset alternative minimum tax. Certain start-up businesses that might not have any income tax liability will be able to offset payroll taxes with the credit as well. For taxable years beginning in 2016, the dollar amount is $25,900. This amount is used for limiting the small employer health insurance credit and for determining who is an eligible small employer for purposes of the credit. If you provide transportation fringe benefits to your employees, in 2016 the maximum monthly limitation for transportation in a commuter highway vehicle as well as any transit pass is $255 and the monthly limitation for qualified parking is $255 (up $5 from 2015). Parity for employer-provided mass transit and parking benefits was made permanent by PATH. While this checklist outlines important tax changes for 2016, additional changes in tax law are more than likely to arise during the year ahead. Don't hesitate to call if you want to get an early start on tax planning for 2016!